The J Bar L Ranch is passionate about conservation and ensuring the land and animals are protected and encouraged to thrive as a result us being here. We achieve this through our holistic ranching practices as well as our strategic partnerships with ranching and conservation groups. Some of our partner groups focus on finding sustainable ways for ranching and local wildlife to coexist, while others focus on resource and species-specific research, habitat restoration and educational programs relating to specific conservation efforts in the Centennial Valley and the greater Yellowstone ecosystem. You can read more about our sustainable ranching and conservation efforts on our ranching and conservation press page HERE. The Nature Conservancy of Montana--We have a long-standing relationship with TNC and partner together in a number of ways--through utilizing grazing allotments, facilitating research and hosting retreats. You can read more about our specific partnership here as well as learn about their High Divide Headwaters project here in the Centennial Valley. The Centennial Valley Association--The CVA is our local non-profit the in the valley. It has been an intengral part of connecting the community of the Centennial Valley for many years. Through their weed management and range rider programs they work to minimize invasive species, track predator activity and keep lines of communication open between neighbors. Red Rock Lakes National Wildlife Refuge--Not only is the refuge an excellent place to explore for a day, but they provide important grazing permits for our cattle. Together, we help manage the land for optimum restoration through short-term, rotational grazing. Check out this beautiful video about their Arctic Grayling conservation efforts here in the Centennial HERE! Montana Audubon--We have partnered with MT Audubon to host birding retreats as a way of furthering their efforts to conserve and enjoy the winged wildlife of the Centennial Valley. Western Sustainability Exchange--Our sister company, Yellowstone Grassfed Beef, is a sponsor of WSE, supporting their many programs aiming to support sustainable ranching and the co-existance of ranchers and wildlife. As a way of showing our continued support we have created a discount and donation package to members of any local, state, or national wildlife or environmental conservation group. 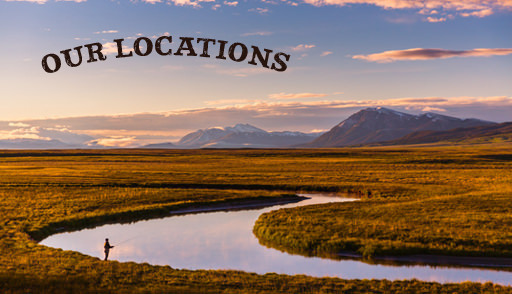 As a member you can enjoy lodging in Montana's pristine Centennial Valley or historic Twin Bridges at a discounted rate, all the while earning a cash donation for your non-profit conservation organization. Conservation group members receive a 10% discount on vacation rental rates for a three or more night stay between May and September and earn a 10% donation to their conservation group. Simply note your membership when booking your stay and we will make the adjustment. (Offer is only applicable to vacation rentals and not special events and retreats.) Annual meetings, retreats and workshops for your group can be arranged through our guest manager. Please see our Groups and Events page for more details on using our facilities for your group.